Inked by hand, then finished using digital tones in Photoshop. Originally used this for a placeholder during a couple of unplanned hiatuses, with different dialogue each time. 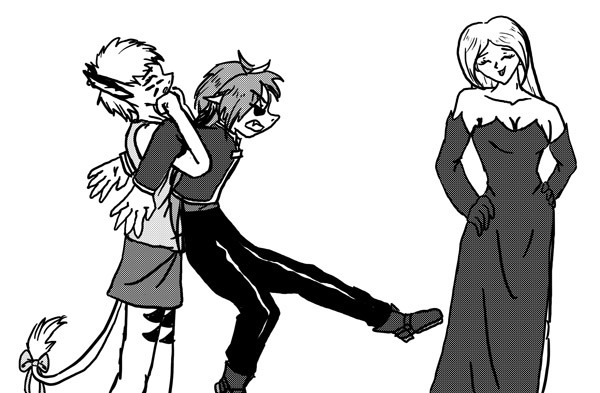 That's Cor as Winry, Tsuki as Ed and Gayle as Lust, obviously enough.